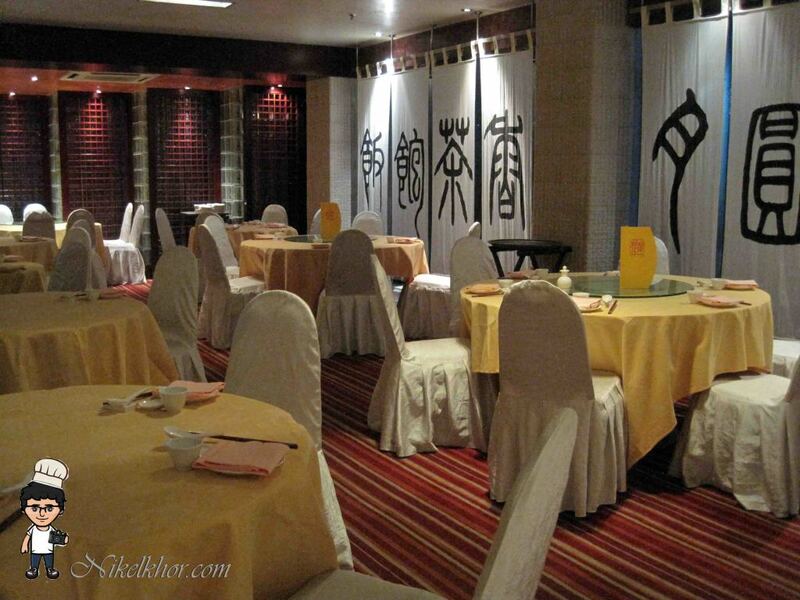 Toh Yuen or “Peach Garden” initiates the charm of the “new century”, reflecting an international yet Oriental feel. Few day ago, I was one of few lucky one to have a preview of their new launching a-la-cart menu. Explore into the authenticity of Chinese cuisine with a local, personal touch, by crating an extensive a-la-cart menu with recipes from China and the restaurant regulars all-time favorites. Retaining one main concept from previous menu, Master Chef Lee emphasizes a healthy menu which consists of fresh ingredients and Chinese herbs. 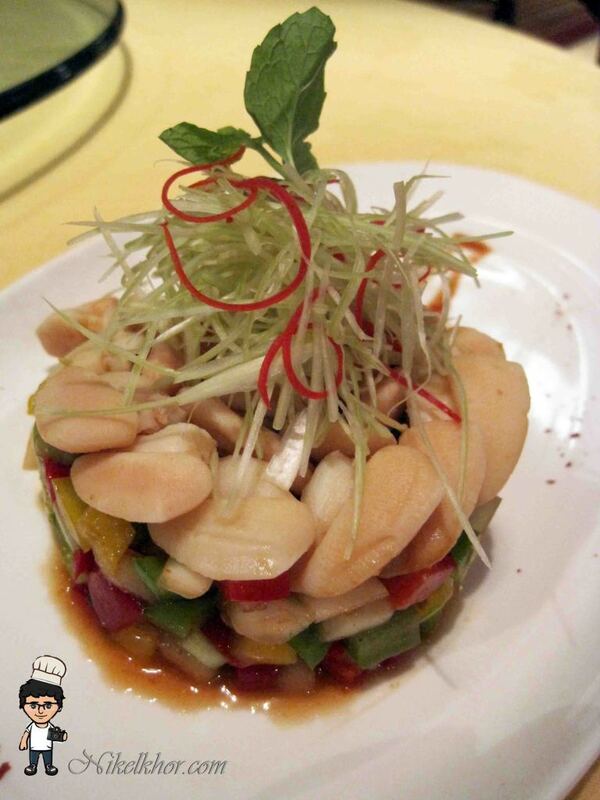 However, he has added something new by introducing traditional Chinese fare to local food lovers, as a result of his fruitful travel and culinary learning in China. TO get the best out of the taste, Chef Lee also keeps the natural flavors and refrains from using artificial preservatives and addictive. 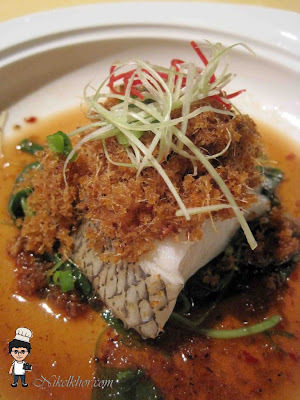 For example, Chef Lee opted for more fresh fish and even included local fish such as Sarawak River Patin in the menu. 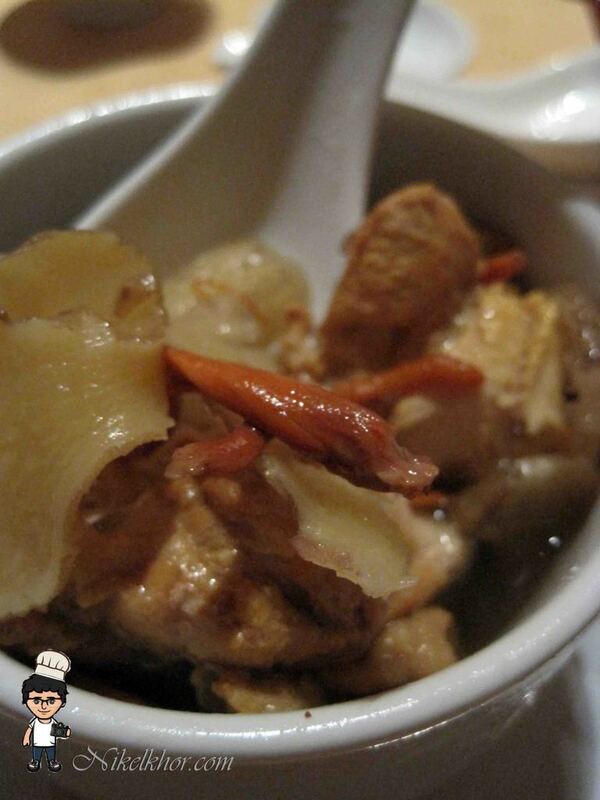 Apart from it, herbs are also used liberally particularly in Chinese soup. 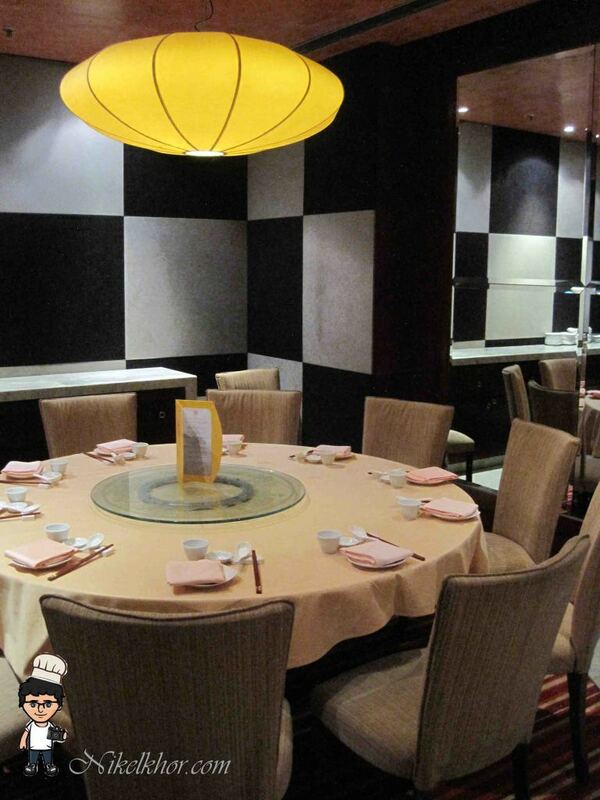 Offering the guests a sense of ease, Chef Lee has kept a simple approach to the Chinese authentic delicacies, with minimal adjustment to local taste buds. Some of these delicacies include Pan Fried Lamb Rack with Mongolian Sauce, Deep Fried Lamb with Cumin and Dried Chili, Szechuan Hot and Sour Soup, Steamed Fish with Dried Mandarin Skin Sauce, Deep Fried Fish with "Yu Feng" Ginger Sauce and many more. 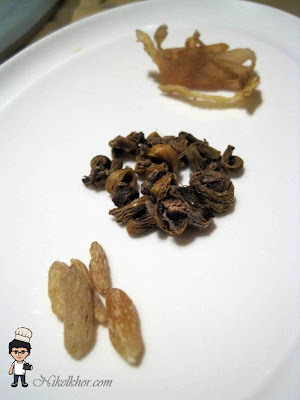 "While we hope to get the taste as closed as to the traditional dishes in China, we also made some changes to the ingredients used, so that the dishes such as Xinjiang Fried Rice with Diced Chicken will appeal to all Malaysian taste buds" said Chef Lee, whose experiences spans over 10 years in exploring the depth of Chinese culinary tradition and culture. Our meal was started with some appetizers which opened up the flavours very well, assorted from hot to cold and also from western to oriental. 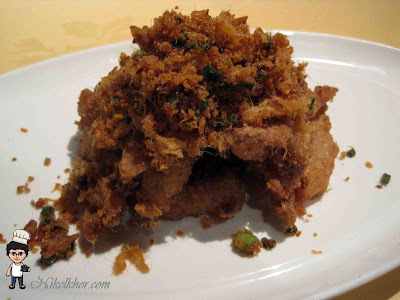 The first come up was my favourite soft shell crab, deep fried till perfect, crispy on the outer layer while moist and soft on the inside. Distinguished from what normally done by Japanese restaurant, this soft shell crab is extremely flavourful, because garlic and chicken floss are added to enhance the flavour. This is one of my favourite on the night too, the pacific clam was served in cold with assorted colourful vegetables, not only nice to see, but also delicious to taste, very refreshing! The lamb was prepared and cooked in the way of Xin Jiang, a province in China which has preference in using spices. 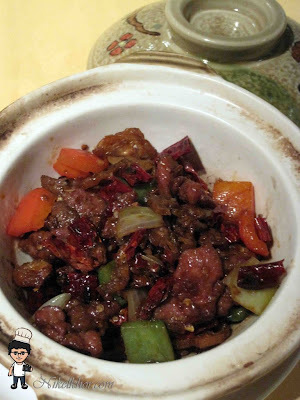 The lamb was marinated well with various spices, especially the mild aroma of cumin, makes the dish very attracting and tempting, successfully brings in the local flavour of Xin Jiang. 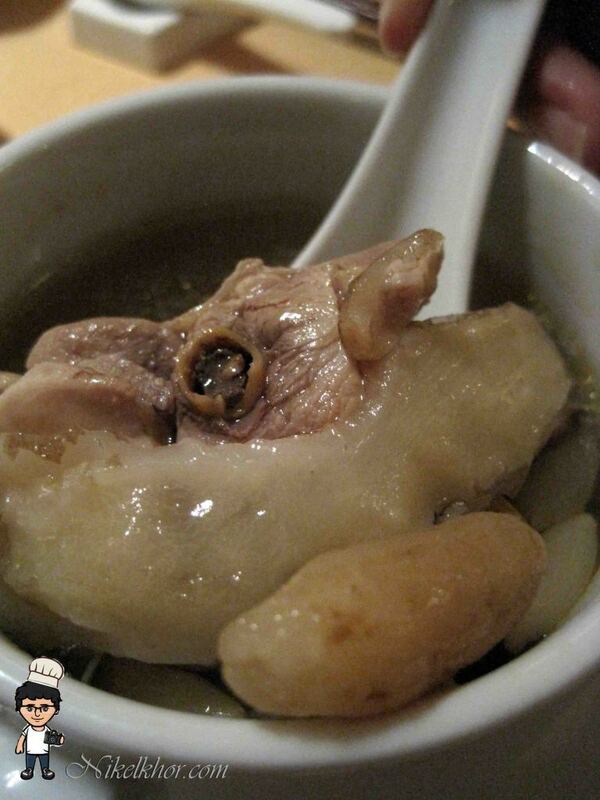 Speaking of the wisdom of Chinese Kitchen, one shall not miss the soup as it is an integral part of Asian diet. 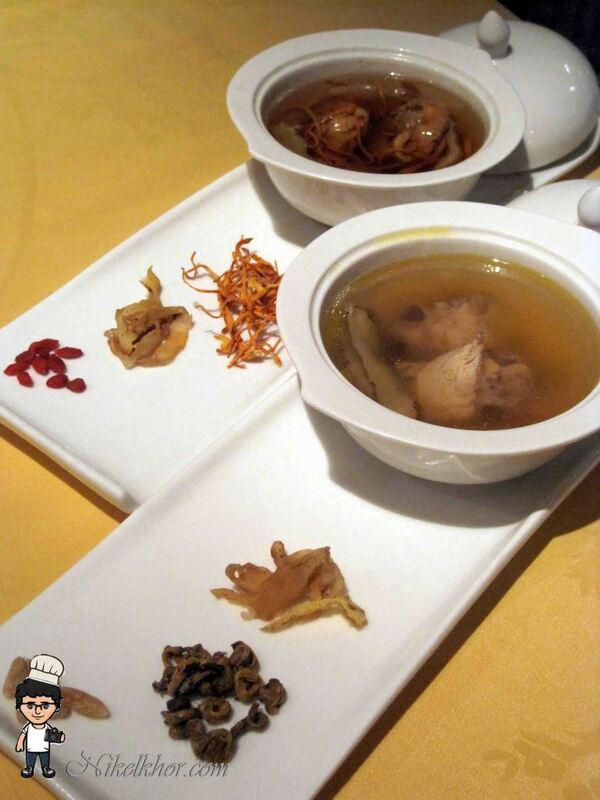 The nourishing Chinese herbal soup such as Double Boiled Village Chicken with "Chong Cao Hua" Soup and Double Boiled Chicken with "Shi Hu" Soup, moisture the lungs and skin, replenish nutrients and are good for digestion. The soup is very rich with the flavour of herbs, the soul of the soup is the Chinese herbs of "Chong Cao Hua" (Cordycerp), which is very nourishing and moisture the lung, it is extremely good in anti-aging. It is better than taking skin care products, as the soup is boiled with natural ingredients. 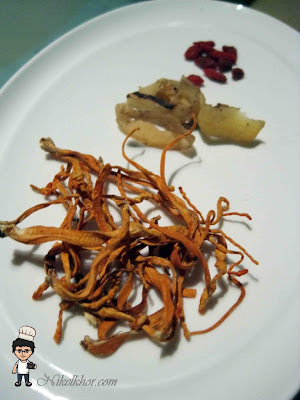 Besides, I was surprised by the chewy texture of the cordycerp, it was just taste like shredded squid. Shi Hu (Dendrobium) is a kind of Chinese Herbs as superior as Ginseng, Ganoderma, and cordycerp. It is good in improving and stipulating appetite with its mild and refreshing taste of herbs. 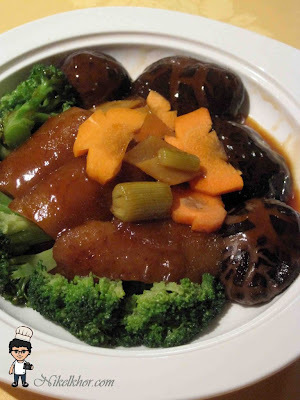 Being a lover of sea cucumber, I definitely fall in love with the thick, smooth, succulent, and big chunk of sea cucumbers, with abalone sauce clinging on it. It is also perfect matched with the classic combination of broccoli, carrot and mushroom. While keeping regular’s luxurious favourites especially the seafood, fresh and quality ingredients are selected carefully to conjure mouth-watering fishes. 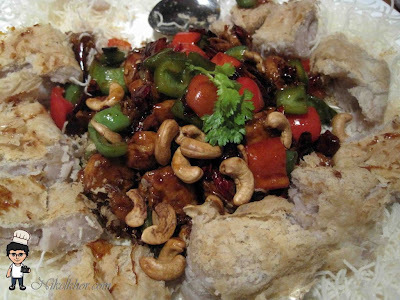 My dinner was further pleased by the appearance of cod fish with the special ginger sauce.The texture of the fish was very smooth to savour with some hint of ginger shreds and assorted spices. Sauteed Fresh Prawn with Salted Egg Yolk is crowd favourite, the big prawns were deep fried till crispy and encased in creamy salted egg yolk, presenting with its golden brown colour. The creamy yolk is a delicious counterpoint to the succulent seafood.The chef emphasized that only egg yolk will be used to avoid the dish to be over-salty. The smoked duck was very flavourful, the deep fry process enhance another amazing layer of crispy texture to the duck. The sweet and sour dragon fruit sauce was very impressive and added credit to the dish too. 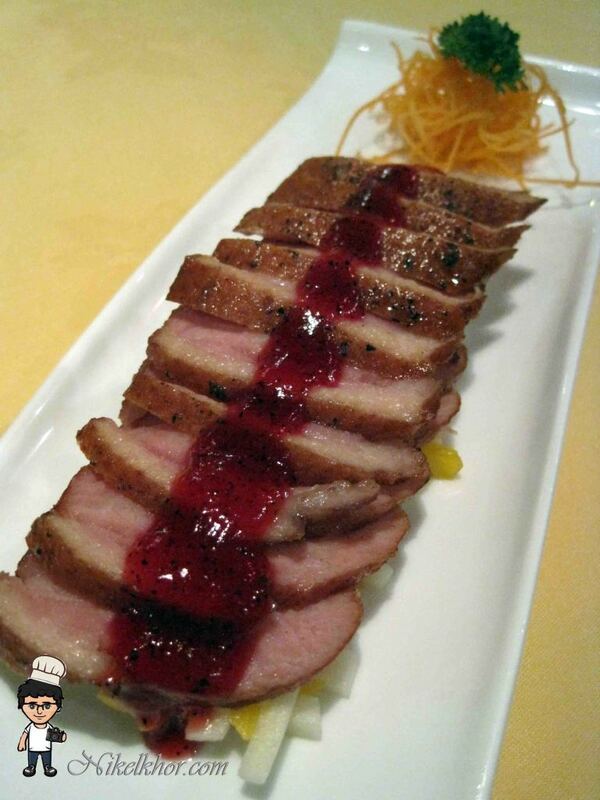 On the other hand, the tropical fruits placed underneath the duck slices balance up the diet and also provided some bright colours to dish. This is a new combination for me! I can't imagine the combination of venison and Chinese croissants (Yau Char Kway) before I tucked-in, a very adventurous dishes indeed. 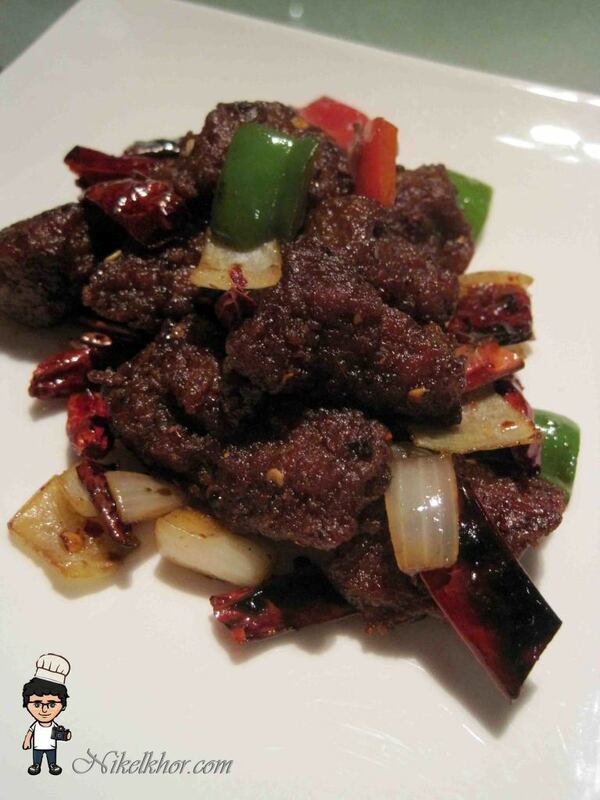 The thin slices of venison was very well sauteed with cumin and dried chillies. It was nicely placed in claypot to keep warm of it. 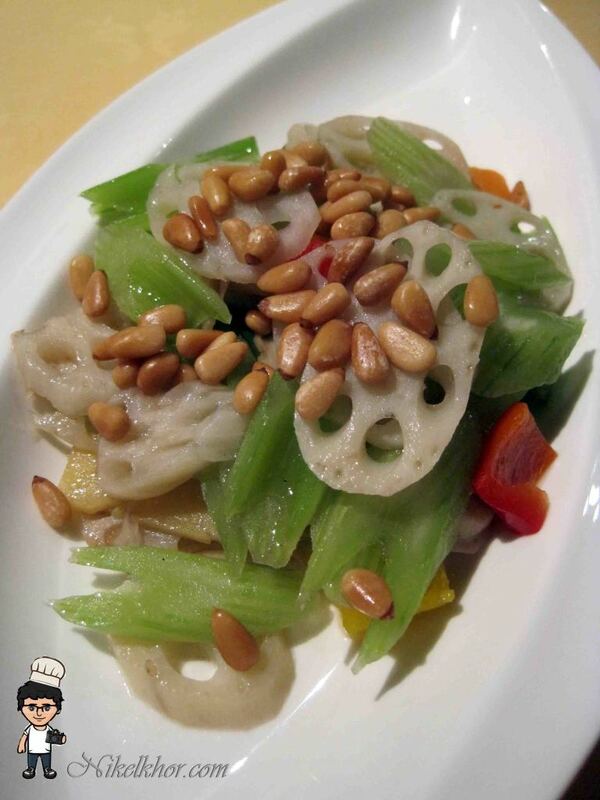 A portion of crunch green on the evening, it was simple, light and plain without much seasoning added, to preserve and retain the original and natural flavour of the lotus root and celery. Mock chicken dices were used in complete the classical Chinese favourite Yam Ring, this is one of the must on my round table. 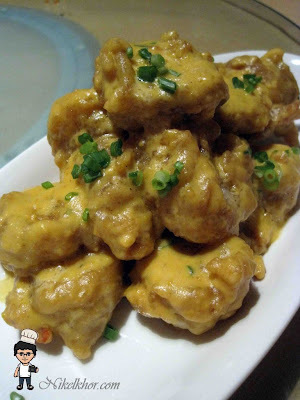 I was surprised with the texture of the mock chicken dices, which is very similar to the real chicken dices, tender and smooth. 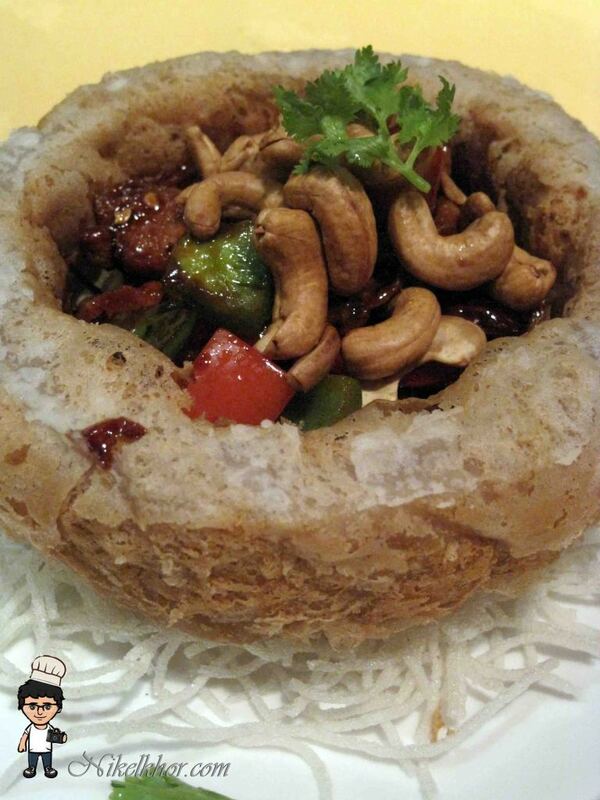 The cashew nuts play another important role in providing some crunch to munch on. 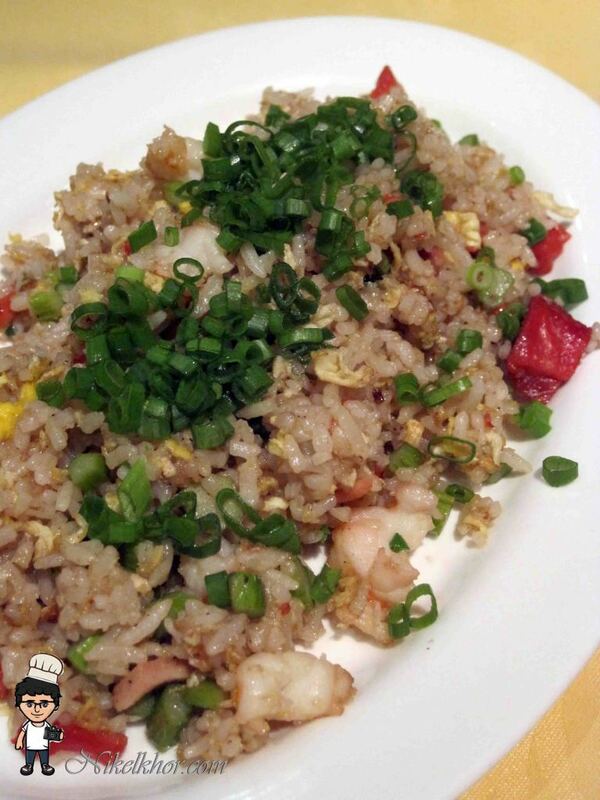 The fried rice was not too special to shout with, but serve a portion of carbohydrates. Various fresh ingredients were added, such as prawn, ham, capsicum and eggs. The different colours derived from the ingredients furnished the fried rice very well and opened up my flavours. The dessert at the end of the dinner to satisfy my sweet tooth, Toh Yuen's kitchen never stop surprising me even for the dessert. 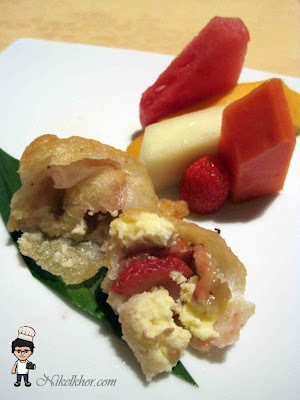 The deep fried banana with strawberry and cheese cake is a dessert marries both Asian and western ingredients. Deep fried banana is Malaysian's all time favourite street snack, while strawberry and cheese cake are famous as western high tea snack, the combination of two definitely impact a spark on the new ala carte menu. 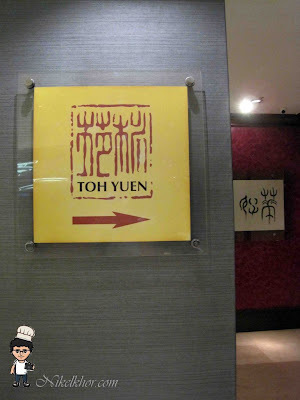 Adding to the already impressive famed Dim Sum menu, the new a-la-cart menu of Toh Yuen is pleasing to the palate, health and easy to appreciate. Providing an oriental feel and a sense of tranquility, dining at Toh Yuen is perfect for family, friends gathering and business associates' casual meeting. Available daily for lunch and dinner. For reservations, please call 03-7955 9122 ext 4073/4, Visit Hilton PJ's F&B blog, www.ZestPJ.com for the latest F&B promotions and entertainment scenes. Also, visit www.petaling-jaya.hilton.com for more information on Hilton PJ's other products and services. I've been there a few times for dinner and breakfast, their food is really good and I love their service, top notch! @choiyen I love it too.. I had two bowl of that.. yummy yummyy!